Often the lowest hanging fruit for energy opportunity is using what you already have more effectively. This requires an innovative approach and strong technical review. There is a lot of wasted energy at most facilities but identifying how much can be recovered and what that will cost is the cornerstone of the business case, and its what we do. With all of the sources, loads and equipment in a commercial facility, identifying opportunity and quantifying it, can be a daunting task. We look beyond the obvious and past simply upgrading equipment to find the best solution for your situation. If the opportunity and business case are there, we can provide a turnkey Engineered package. This might be as simple as an ERV/HRV or heat recovery chiller or it may involve a more customized approach integrating multiple coincident or non coincident sources and loads in an energy sharing hydronic system. Stage 3 Renewables is an innovative renewable energy company with an excellent reputation. Troubleshooting and repair of mechanical systems - we can fix it! We provide design and engineering services for Commercial and Institutional clients. 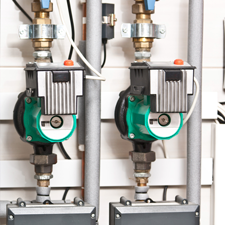 We retrofit energy efficient systems and we interface with boilers and heat pump systems. We provide expertise in controls - Direct Digital Control (DDC) and Building Automation Systems (BAS). 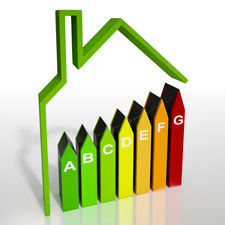 We know how to save energy, lower heating bills, improve reliability and increase comfort. If you want the best performance and value, give us a call first. Stage 3 Renewables is a British Columbia renewable energy company. We work throughout Coastal BC in places like, Greater Vancouver: Richmond, Burnaby, Delta, Surrey, Ladner, North Vancouver, White Rock, West Vancouver, The Fraser Valley: Langley, Abbotsford, Chilliwack, Hope, Mission, North Fraser River: New Westminster, Port Coquitlam, Port Moody. 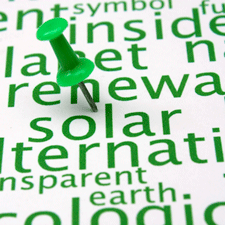 We bring Renewable Energy solutions to you! Call us today about your project.